Oregon’s offense underachieved in 2018. The offensive unit had a variety of issues throughout the season, and those issues were alarmingly prevalent in the Redbox Bowl against a feisty Michigan State defense. Although the Ducks earned a hard-fought victory, it wasn’t because of their offense, which struggled to establish any sort of rhythm throughout the game. Oregon finished with a mere seven points. Coach Mario Cristobal has the Ducks on the right track, with a solid 9-4 record this season and a star-studded recruiting class on the way. 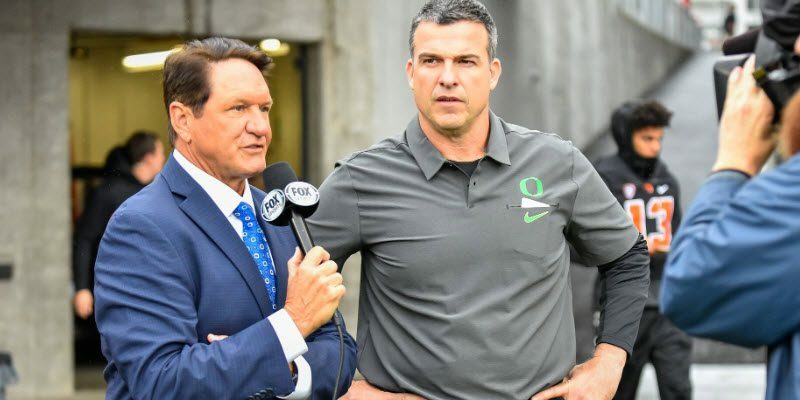 But if he remains committed to an offensive system that has proved to be inadequate, the Ducks will soon trend in the opposite direction, and Cristobal’s star will quickly fade. There are many qualities that great coaches must possess in order to be successful. One of the most important ones is adaptability. Look no further than Nick Saban, the gold standard of the sport. Saban built Alabama into a juggernaut, winning multiple championships on the heels of a suffocating defense and a bludgeoning offensive style. 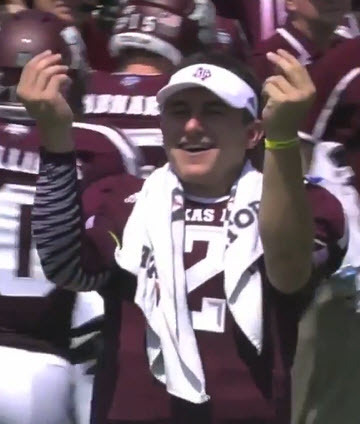 Manziel torched the Tide in back-to-back seasons. But as the sport began to progress, even the best defenses in the country were struggling to keep up with a growing contingent of high-powered offenses. Suddenly, Alabama found itself in shootouts against the likes of Johnny Manziel’s Texas A&M and Hugh Freeze’s Ole Miss teams, and the Crimson Tide was out of its element. It was no longer possible to have sustained success winning games by a score of 9-6. So Saban did what all great coaches do: he adapted. He brought in some of the brightest offensive minds in the sport to open up his offense. Before long, he was using the same spread concepts that had worked so well against his own defenses in years past. Now, Saban not only has a top-flight defense, he has one of the best offenses in the country, with perhaps the best dual-threat quarterback in the sport at the controls. For a defensive guru, adopting such offensive innovation surely wasn’t easy. But it was the right move, and it allowed the Tide to maintain its spot as one of the top programs in the country. There are plenty of other top coaches who made a move when something wasn’t working. 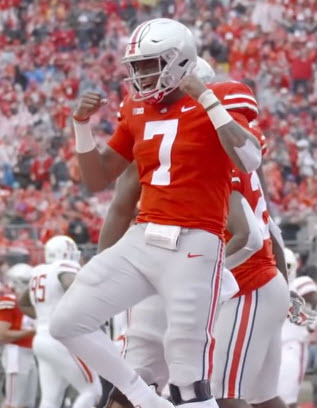 Haskins is the favorite to be the first quarterback drafted in 2019. Urban Meyer brought in Ryan Day and Kevin Wilson to breathe some life into a stagnant Buckeyes passing attack. As a result, Ohio State turned Dwayne Haskins into a first-round quarterback prospect this season. And Washington State offensive savant Mike Leach knew that his air raid scheme wouldn’t be enough on its own to break through to the top of the ultra-deep Pac-12. So he brought in one of the most creative defensive coordinators in the business, Alex Grinch, to best utilize the little talent that he had on the defensive side of the ball. Grinch worked miracles in Pullman, developing a group of low-ranking recruits into one of the most aggressive defenses in the west. These coaches each identified potential weaknesses with their teams and reacted quickly and effectively to turn those liabilities into assets. Cristobal now faces a similar crossroads. How he fixes an offense in need of an overhaul will make a statement about how good a coach he is. For the past decade, Oregon football has been identified with strong offense. Under Chip Kelly, the Ducks routinely put up 50-point games, leading to a rise to prominence that shook up the college football landscape. The Ducks’ offense had its share of struggles in 2018. Fast forward to Cristobal’s first year as head coach, and the Ducks’ offense is a shell of what it once was. The running game is bland and unimaginative, the passing game is maddeningly inconsistent, and perhaps most frustrating, an offense with plenty of athletic and talented playmakers has been reduced to a discombobulated, pedestrian unit. The Ducks’ offensive numbers aren’t terrible, but some of their lackluster performances this season — including the seven-point outing in the Redbox Bowl — suggest that they haven’t played up to their potential. With a rare talent like Justin Herbert at the helm, and an offensive line that graded out as one of the best in the sport, there’s no excuse for the Ducks not to have an elite offense. Cristobal’s most important step moving forward will be addressing his offense’s ineptitude. Many have blamed offensive coordinator Marcus Arroyo for the unit’s struggles, others have pointed to running back coach Jim Mastro’s influence, and some pin the blame on Cristobal’s adherence to an outdated ground-and-pound philosophy. Where the blame truly lies is irrelevant. What the Ducks are doing right now clearly isn’t working, and Cristobal needs to fix it. Otherwise, all of the momentum that the Ducks have been building will be for naught — hype only goes so far. Without a significantly improved offense, the Ducks will struggle to keep pace with the rest of the conference. And for a team that many expect to contend for a conference title — or even a playoff spot — next season, that would be a major disappointment. Can Cristobal Learn From the Best and Make a Change? In today’s game, where NFL teams and colleges alike are looking for the next schematic mastermind, the critical traits of successful head coaches are being forgotten. While the greats like Bill Belichick, Saban, Dabo Swinney and Pete Carroll are all adept in scheming, their strengths have to go beyond the X’s and O’s. Their ability to mitigate weaknesses and adapt as necessary is a major reason that they have been able to maintain their success for as long as they have. 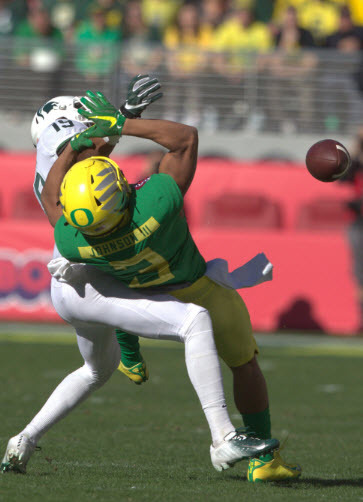 Cristobal can learn from their example as he looks to fix the Ducks’ offensive woes. If he is able to embrace change (and perhaps find a coach with more offensive expertise than he has to collaborate with), then he will be well on his way to cementing his legacy as an elite coach. With an improved offense, and with Cristobal’s recruiting prowess, the Ducks will be set up for success in years to come. But if he is reluctant to make a change, Cristobal’s name won’t be mentioned in the same breath as the greats of the sport any time soon.